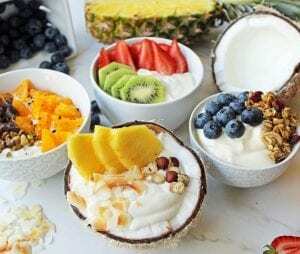 Greek yogurt is one of those foods that bring joy to the gut and our health. Nutritionally, it contains more protein and less sodium and carbohydrates than regular yogurt. Aside from the nutritional benefits, it also is a great probiotic for gut health, boosting the immune system. 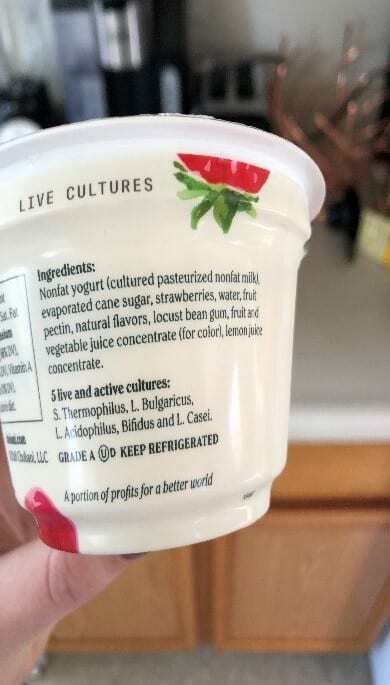 Selecting Greek yogurts can be tricky. Many people prefer flavored Greek yogurts such as vanilla, strawberry, and even fruit at the bottom flavors. They look appealing and taste good, but are you aware of the amount of sugar in those yogurts? 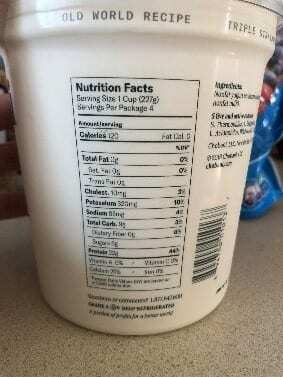 Many contain 15 grams of sugars in one serving, and this information is found on the nutrition label. You may think that all of those grams of sugar are from the fruit. 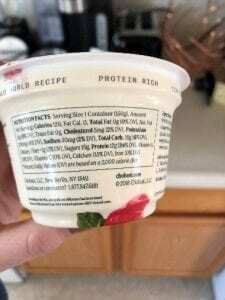 The fruit has naturally occurring sugars, but look at the ingredient label. Many will include “evaporated cane sugar” which is an extra, added sugar. 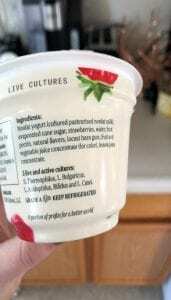 Yogurt, naturally, should contain some sugar. More than 6 grams of sugar on a label indicates added sugars. To avoid these sugars, select plain yogurt. Add lemon, lime, and orange zests. Add fruit to it, fresh or frozen. Either way you can still enjoy the fruit taste without the excess sugars the fruit at the bottom yogurts contain. Add nuts and seeds to it. This is a great source of healthy fats, and will satisfy you more. Make cold oats with Greek yogurt. It will sit overnight, allowing the flavors to soak in, providing you with a tasty breakfast in the morning. Get creative and make your Greek yogurt the way you want it!